As people move in droves to Colorado, limited housing is an ongoing issue. While newcomers are looking for a place to live, it’s common practice for rental companies to charge an application fee. The fee often covers the cost of a background check, credit check, and the processing of the rental application. However, in some cases, rental companies can use the fee as a way to make additional money. Representatives Brianna Titone (D- Arvada) and Serena Gonzalez- Gutierrez (D-Denver) are the prime sponsors of a bill addressing rental application fees. Rep. Titone says the bill is intended to make the process fair for rental applicants. Rep. Titone adding that with some applications costing between $100-$200, by the time prospective renters have applied to multiple places, they could’ve paid a month’s worth of rent. For Property Managers, the bill is getting mixed reaction. Alex Yoder, Dir. of Residential Management at Dorman Real Estate in Colorado Springs works with people looking to rent single-family homes in the area. He adds that for businesses like apartment complexes, the rental application process can be different. ‘In the single-family world, most companies actually lose money running applications,’ said Yoder. This is often because the companies use a third-party service for the application process. The bill addresses charging the same amount for an application fee, which can be based on the amount of time it takes to process an application, something Yoder says could be challenging. 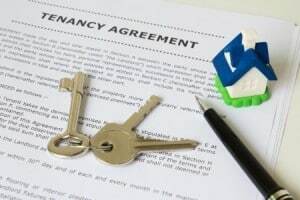 The bill does address something many local companies are already doing: providing the requirements for the rental application when it comes to rental history and credit scores. ‘That way we’re not just wasting peoples application fee money, I’m totally in favor of that,’ said Yoder.